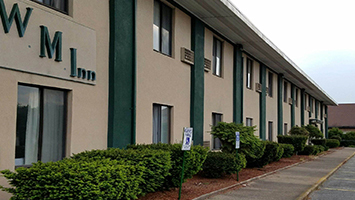 Welcome to the Woonsocket Motor Inn - a family owned business for more than 30 years. The red carpet is out at the Woonsocket Motor Inn. Whether your stay is for business or for pleasure, for one day, two days or more, all the comforts of a traditional New England Inn and all the amenities of a modern hotel are yours to expect and enjoy. 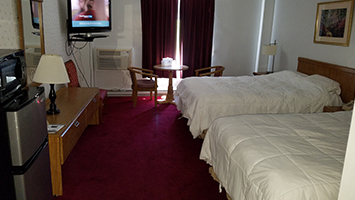 We have wireless Internet access and cable TV, at no extra charge, in every room. 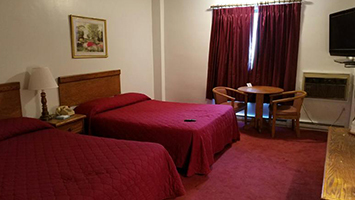 Rooms are spacious and clean, with carpeting and bathrooms in every room. All rooms have private phones, cable TV , superb friendly service and the best room rates around. Rooms range from $68-$72 per night. For reservations, please contact us at 401-762-1224, 24 hours per day - 7 days per week. Or Email us for more information.